Checkmat BJJ at Fight Legion Malta. 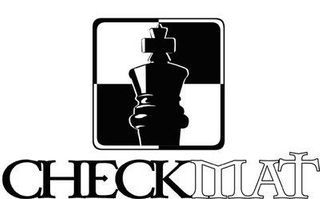 We are very proud to confirm we are officially a Checkmat school under the direction of Checkmat Balck Belt Luiz Ribeiro of Checkmat London and London Fight Factory.Our head instructor Karl Mifsud was in London to discuss the matter with Luiz and train with him; the training was great and very hard , there was a very high level of Brazilian Jiu-Jitsu we are very honoured to be part of this great team under Luiz Ribeiro a Black Belt under Leo and Ricardo Vieira. 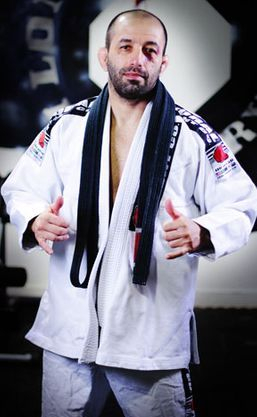 Luiz: I like the idea that in BJJ everyone can win, you don’t have to be strong to restrain an opponent. We train with and without gi and, although with the latter, strength becomes more of a deciding factor most of the time we train with gi. With this it’s much more about technique and style, and just because someone might be strong it doesn’t mean they’ll win. Hence it’s a pretty good sport for everyone and anyone to learn. Brazilian Jiu Jitsu has many levels to it and a huge range of techniques, positions etc. With a lot of people who do only stand up martial arts the fight is over once their opponent gets them on the floor. You still see this in some MMA fights. That’s why a lot of people who are interested in MMA start studying Jiu Jitsu. 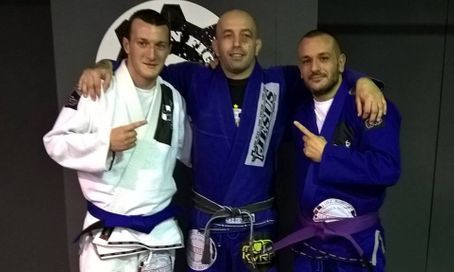 Guys on Saturday 24th October 2015, Head Coach Karl Mifsud was promoted to Purple Belt and Assistant Coach Enrico Manicaro was promoted to Blue Belt by our professor LFF and Checkmat London Head coach Luiz Manxinha Riberio and backed by a number of black belts Vibe Gym, Pedro Fernandes, Anderson Silva, Tiago Valente, Sidney Silva, Eduardo Teta Rios,Enrique Villasenor and Edu Escanho. It was not just an honour to be graded but even a bigger honour to be part of this family showing our hard work and commitment to train and be graded by the best , Luiz Manxinha Ribeiro is not just our professor but our friend, always looking for the best interest of our club and its students. This is how lucky we are guys .Ossss thank you Luiz Manxinha Ribeiro and all LFF Students for always welcoming us and help us improve every time we are there. 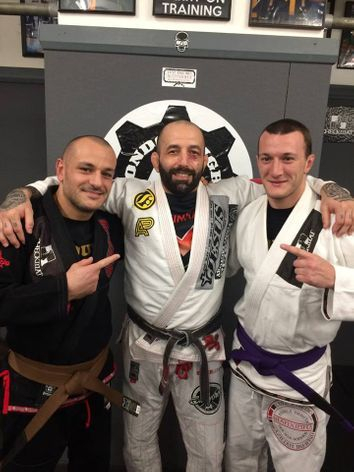 On Saturday 21st October 2017, Head Coach Karl Mifsud was promoted to Brown Belt and Assistant Coach Enrico Manicaro was promoted to Purple Belt by our professor, LFF and Checkmat London Head coach Luiz Manxinha Riberio and backed by a number of black belts It is an honour to be graded once again from Luiz at London Fight Factory but a bigger honour to be part of this big family. We are now part of the legendary Fight Sports Jiu-Jitsu under the great Cyborg. We are very honoured to follow our profesor Luiz Manxinha Ribeiro in this new journey.